If you are having a new home built to your specification you want everything just as you desire. You’ve likely spent time researching and picking out every minute detail; from the countertops to the door handles. Your new house will be an expression of you and your appreciation of excellence. 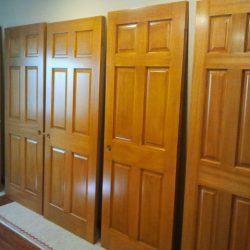 We share your appreciation of excellence and every wood staining job reflects that. We know that finished wood, done well, will add sparkle and an extra layer of beauty to any space and that a job poorly done will detract from the most lovely of spaces. A great way to add a stamp of your personality in a new home is by having the wood refinished. Gloriously done details have eye-catching beauty and add a certain something to any space. 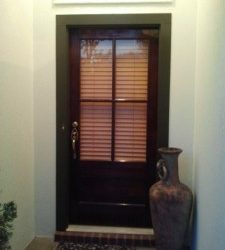 When you make the wood trim of one room different from the other, adjoining room, you set it off visually and that can enhance the room’s theme. 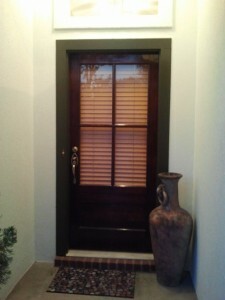 When using wood trim that differs from one room to another, you need to make sure they don’t clash with each other. Clashing wood trim can detract from the beauty of a room. For a modern look, use a wood finish that is lighter than the color of the walls. 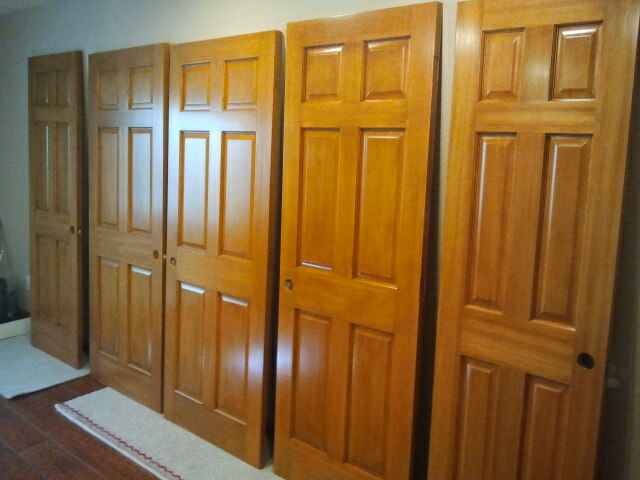 Fr a more traditional look, use a wood finish that is darker than the color of the walls. We are committed to the highest standards when it come to the quality of our work. 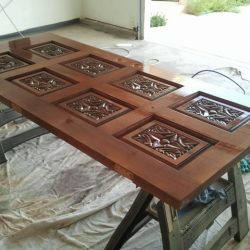 We use quality products and use techniques that express our appreciation of the craftsmanship that is needed to do a finishing job well. 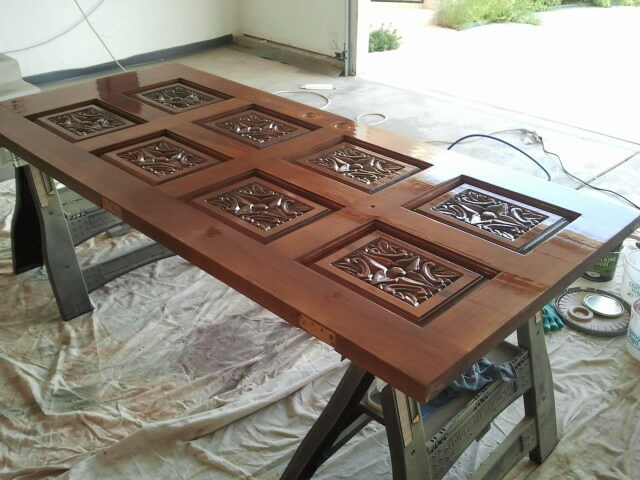 Just as with painting, preparation is the key to a job well done when it comes to staining and custom wood finishes. If we are stripping off old finished, we will take our time to make sure the old finish is completely gone before proceeding. Wood needs to be sanded, with the grain, before it can be finished. After sanding, all dust must be removed. 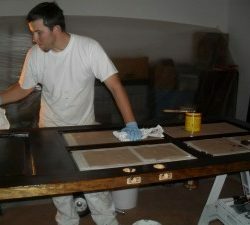 Each layer of finish must dry completely before the next layer is put on. As with all our work, we insist on using the highest quality products. This means we use Spar finishes for exterior applications. 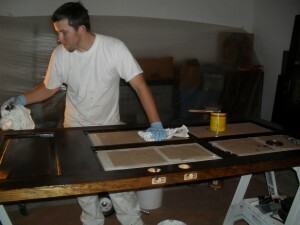 We use only the best sealer, stains, varnishes and lacquers. Spar finishes is great for exterior use as it is more flexible so can take some swelling with humidity.